Hail the summer months! Forget about El Nino and the tremendous heat of the sun. It's the time of year when youngsters finally take a break from schooling, barkadas plan for a summer getaway, families enjoy shopping and sight-seeing, and just about anything that goes with the word T-R-A-V-E-L. Camera - Even if you are too familiar with a place or venue, there's nothing like it when you capture special moments that come your way through photographs. You wouldn't know what may happen and who will you be bumping into with, so click away! Bring extra batteries too! 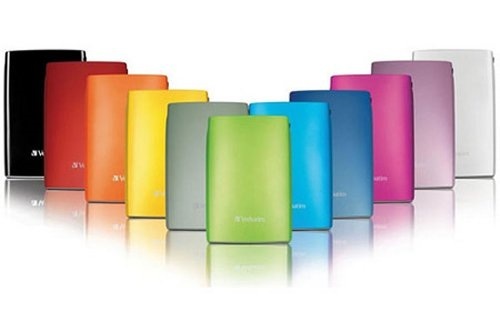 External HDD/USB or Memory Card - When you're addicted to snapping photos here and there, there's a tendency that memory can run out. Using the hotel's computer, transfer pictures from the camera to the HDD. If not, at least carry along an extra memory card for back up purposes. GPS or Compass - It comes in handy for people who are not much familiar with directions and locations. If you're bringing a GPS, make sure that you have downloaded the place's map prior to your trip. Alternatively, folks going on camping or mountain climbing should bring a compass. You wouldn't want your expensive GPS device to get destroyed in hard environments, don't you? Waterproof Pouch - Ensuring your gadgets are safe from sweat, liquids, and sudden rain, an airtight waterproof pouch is definitely a preventive item you can carry with you. It's lightweight and not big, so putting it inside your hand carry isn't a harm at all. Just make sure it's really waterproof. Audio Player - Allow yourself to rest on your way to and from the destination by listening to music that soothes your soul. Sleep coupled with music will surely prepare you physically and mentally for that ultimate trip you've been looking forward to. Charge and feed music before the trip! Mobile Phone - For emergency purposes, secure a mobile phone and a local SIM card to communicate with your travel buddies in cases you get lost or acts of God happen all of a sudden. However, if you're traveling alone, best if you just leave it in the hotel room to avoid theft and possible misplace. It can also double as a video recorder, Internet device, etc. Digital Luggage Scale - During travels abroad, you might be carried away in shopping tons of items, sometimes forgetting the weight limit of your luggage. Use it to check if yours is already in excess weight or not. Most of these scales run with two AA batteries and can cost about a little over Php1,000. Universal Power Adapter - You'll never know what type of socket your venue has. By universal, it could mean having multiple ports for charging of different gadgets but with single socket type; or the other type that does not have ports but has several different socket types for specific countries and locations. 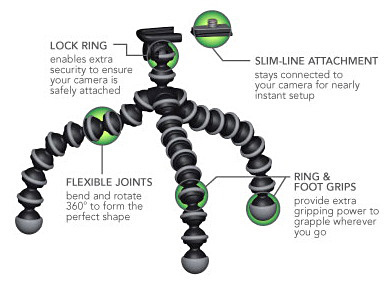 Gorillapod or Quik Pod - Tripods are so last month. Who wouldn't want to be included in the picture right? Mount or hang the Gorillapod in a nearby tree or stone structure, so you don't have to hold the camera in your hand. In absence of that, a Quik Pod (the one that you hold and can be extended) is a nice one too. Wrist Watch - Most trips have few days with jam-packed itineraries. Keeping track of the time and making sure that you arrive/depart on time will help you maximize the trip. It's basic, but very important for travelers. To travel is an experience. Whether you're traveling to a nearby or distant destination, going places allow us to appreciate life and embrace the wonderful creations the Creator has to offer. When you're too distracted with all the things happening around you, go out there and experience the world. i love that wrist watch!!! I think a mobile phone charger/battery pack might be handy too! Especially since people use their smartphones for maps, taking photos, etc. !